If you were injured on the job and are now unable to work, there are several sources of assistance that could provide help. One option is to file a workers’ compensation claim. Another option is to make a claim for disability benefits. While both workers’ compensation and disability benefits programs could provide you with weekly or monthly income if you cannot work, there are some important differences in eligibility and the type of benefits provided. At Parsons and Associates, P.C., our Atlanta workplace accident lawyers can help you pursue a workers’ compensation claim after an on-the-job accident or diagnosis with an occupational disease. We can also help you to understand what types of disability benefits may be available to you and assist you in getting the full amount of compensation and support available to you under Georgia and federal laws. Workers’ compensation is a type of insurance that most employers in Georgia are required by law to purchase for their employees. Workers’ compensation covers workers for virtually all injuries that occur in the workplace. A worker who gets hurt doing his or her job can make a claim for workers’ compensation benefits in order to obtain payment of medical bills. This type of claim can be made by any worker who is hurt doing anything required for his or her employer. For example, a worker could obtain workers’ compensation benefits for an acute injury caused by an accident, for an illness developed as a result of toxic exposure, or for a repetitive stress injury. Once a worker has missed work for seven days or more due to a covered workplace injury, the worker also becomes eligible for compensation for lost wages. The lost wages benefit is based on what the worker was earning at the time of the on-the-job injury. If the worker continues to be unable to work, then he or she could receive ongoing temporary disability benefits equal to a portion of the wages earned before the injury. If the worker can do some work, but not go back to his or her old job, then he or she could receive ongoing partial disability benefits that help offset the difference between what the worker was making before the accident and what he or she can earn since being injured. Once an injured worker reaches maximum medical improvement, then he or she may be switched to permanent disability benefits if unable to resume work at the same job. Again, these benefits may cover both a partial disability that results in switching to a lower paying job and a permanent total disability. The disability benefits paid through workers’ comp are based on the fact that the accident happened at the workplace or was otherwise a qualified work-related injury or illness. The amount of the payments is determined by Georgia workers’ compensation statutes, which indicate that a worker can receive up to 2/3 the amount of the wages previously earned. This is very different from other disability benefits programs available through private disability insurers or through Social Security. In addition to workers’ compensation disability benefits, a disabled worker could also be entitled to temporary disability benefits through a private policy or through disability benefits from the Social Security system. Private disability benefits are available through insurance policies that a worker may purchase individually or as part of a benefits package. The terms of the policy, as far as both what is covered and how much is paid out, are determined by the insurance contract. The law does not specify that these types of policies must apply in any particular situation or that they must provide any specific type of coverage. The policy may require that the disabling condition occurred at work or it may cover someone any time he or she suffers an injury or illness that requires time off, regardless of what caused the disability. Social Security disability benefits, on the other hand, are established by federal law. These types of disability benefits are not restricted to injuries that occur at work. If someone meets the criteria for Social Security disability benefits, then he or she could receive money from the Social Security Administration. Social Security offers benefits to only those who have a long-term disabling condition, defined as one that will last for 12 or more months or is expected to end in death. The SSA also restricts benefits to those who have a sufficiently long work history (for Social Security Disability Insurance benefits, also called “SSDI”) or to those who have a sufficiently low income and limited family resources (for Supplemental Security Income benefits, or “SSI”). In addition to the 12-month requirement, the SSA also restricts benefits to those who have very severe conditions that make any work impossible. There is a list of covered disabilities, along with the symptoms that the individual must exhibit, in a document called the “Blue Book” or Listing of Impairments. When a person is eligible for benefits from Social Security, the benefits received will either be based on the SSI limits or based on what the worker has earned and paid in if he or she is collecting through SSDI. Workers’ comp disability benefits are restricted to those who got hurt at work or suffered a qualified work-related injury or illness. Social Security disability could cover anyone who cannot work due to a serious disabling condition, provided they meet the qualifications. Workers’ comp payments for lost income can begin just seven days after you get hurt and can cover short-term conditions. Social Security will cover you only if you have a long-term and severe medical impairment that will either last a year or cause death. Workers’ comp disability benefits provide coverage even for minor injuries if they limit or prevent work. Social Security disability benefits are available only for the most disabling conditions. 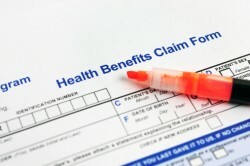 Workers’ compensation covers medical bills and costs. Social Security benefits may also entitle you to Medicare or Medicaid depending upon whether you qualify for SSI or SSDI; however, you are not guaranteed immediate and full payment of medical costs. In some cases, it is possible to qualify for both workers’ comp disability benefits and Social Security disability benefits. If this is the case, benefits may be reduced based on your participation in both programs. An experienced Atlanta workplace injury attorney at Parsons & Associates, P.C., can help you to understand the best way to proceed if you are entitled to monthly income from both workers’ compensation and Social Security.